So I consider myself a fortunate gal. I have a large contingency of foodie friends of all ethnicity. You may say so? 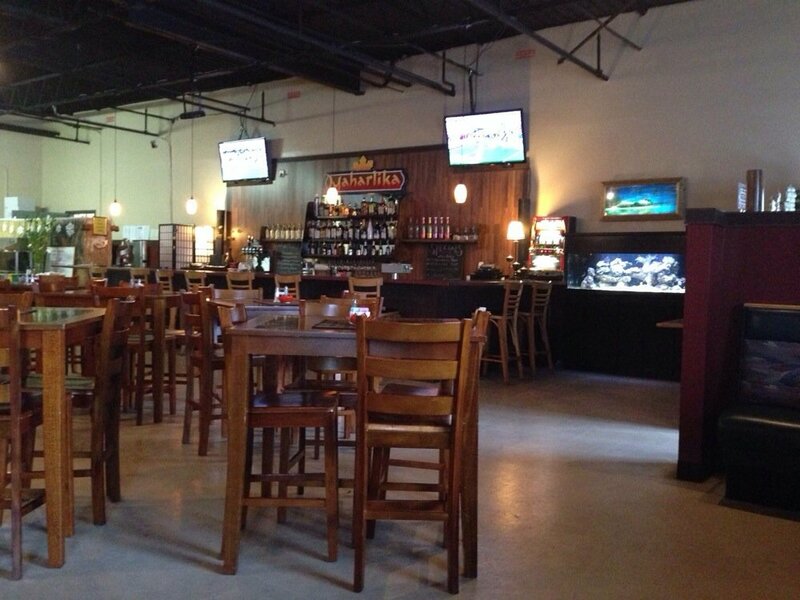 The answer is simple, I get to try restaurants I would never venture into alone simply because I would not know what to order or I would order the most American dish on the menu, providing the menu was in english. I have been begging for some authentic Filipino food. 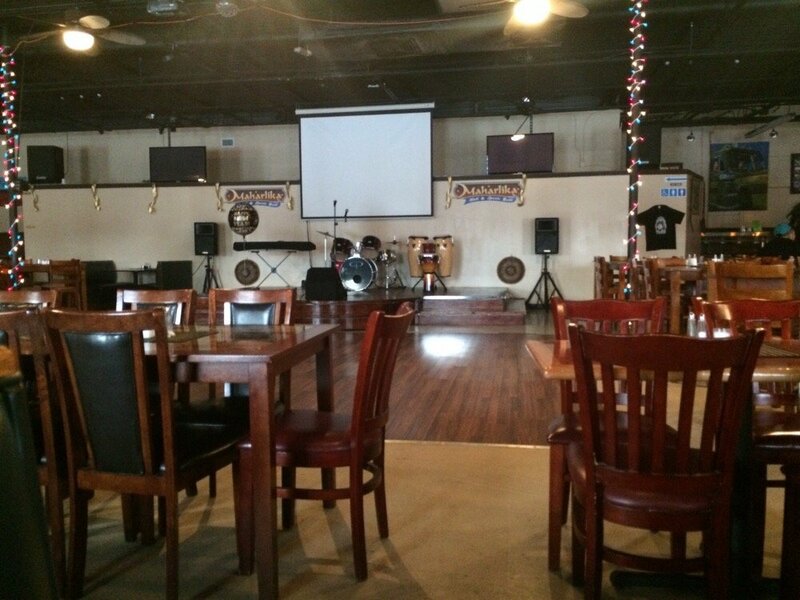 Yes I have had the Lumpia and Pancit very Lo Meign and Egg Rolls to me. Finally my buddy caved in and we went off Maharlika this weekend. 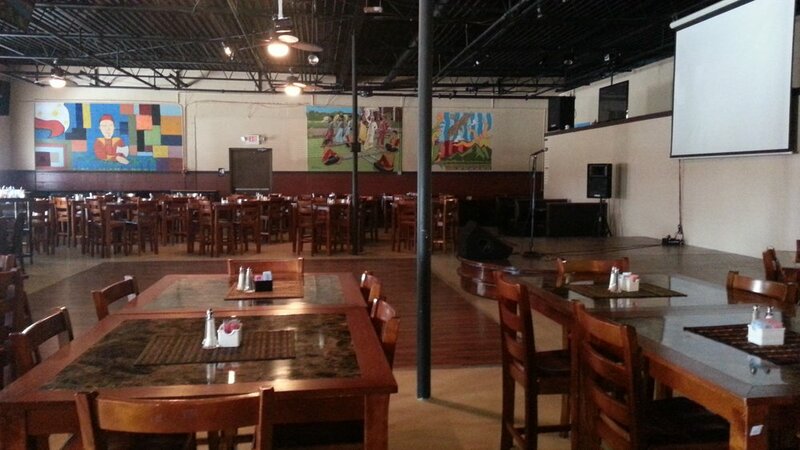 I was intrigued by the name Maharlika Hall and Sports Grill, upon entry it became clear, the place is cavernous. I did not even look at the menu, I asked my friend to suggest dishes and I would order based on his knowledge of my food preferences. 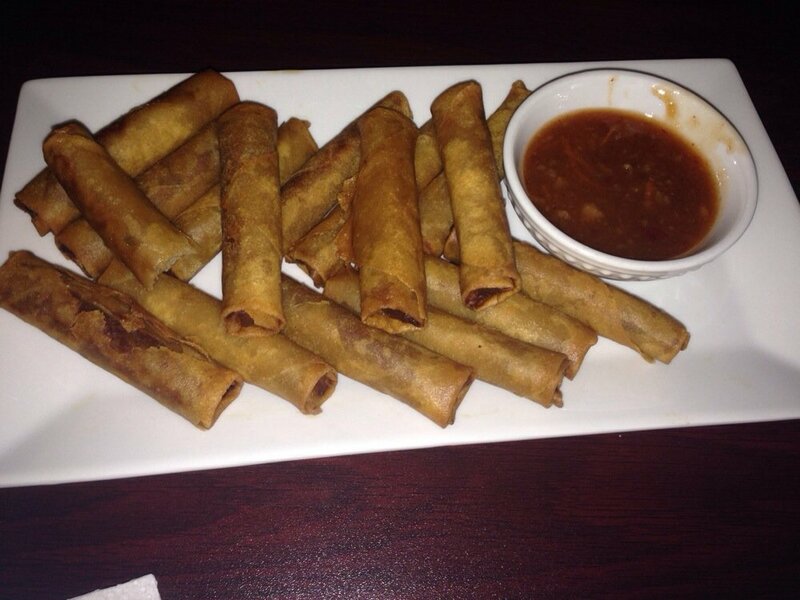 Now I must admit I did order the mixed Lumpianitas, as an appetizer for the table. At least I knew what they were. These were as expected crisp, tasty with the traditional dipping sauce. 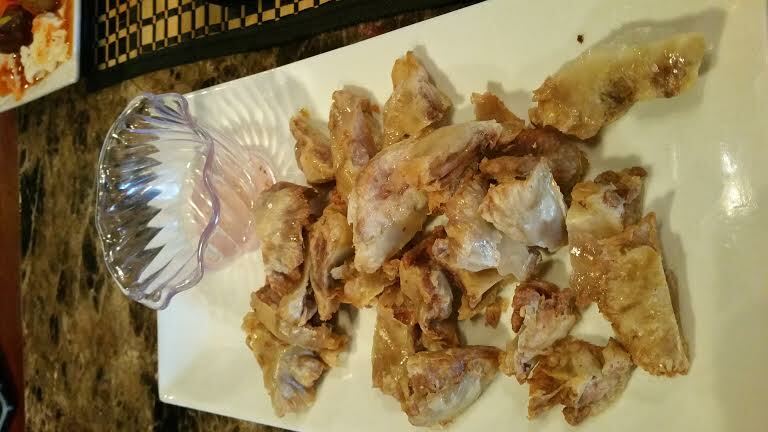 So for an additional appetizer out came the Chicharon Bulaklak Somewhere in my mind I connected the name with the small fried fish I had eaten in Barcelona, it did not look fish like when it arrived, but exactly what it was pork intestines. I was saved by the crispness, much like chewy meaty potato chips. I discovered during conversation that soy sauce is a major component on Filipino cooking but vinegar is most used as a dipping sauce with many dishes. 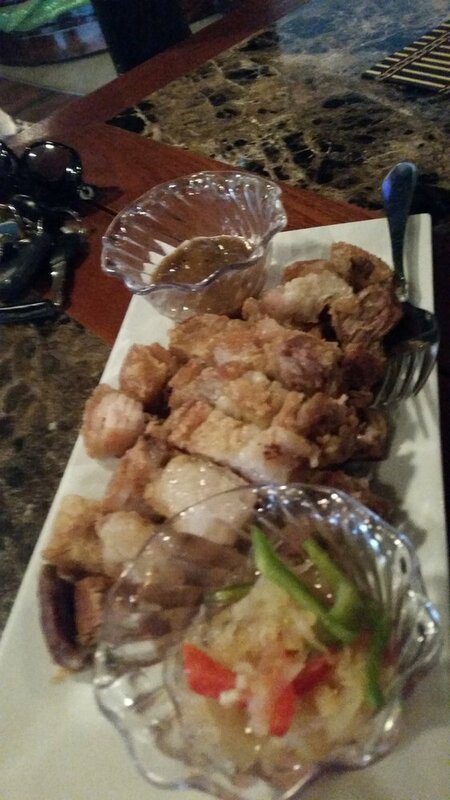 Next up came Lechon Kawali, translates to pork belly so all is good there. I am a fan of pork belly. This was not as crisp as I would have preferred but the flavor was very pleasing. I am a big texture person food wise, so the fault is on my head. Everyone else raved. 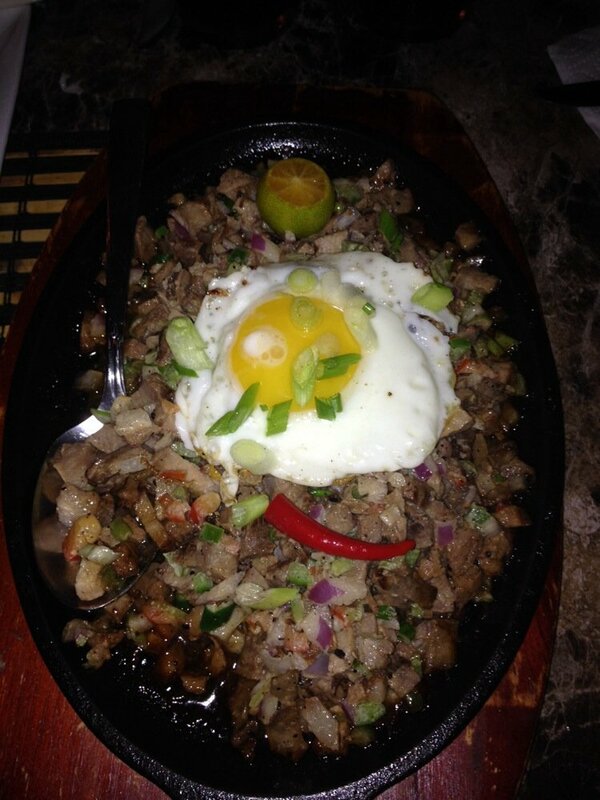 We move on to Sizzling Sisig Pork, pretty tame, Crispy Diced Side Pork, shallots, jalapeno, egg in special seasoning. The egg was up and soft so I ate around that before yolk contaminated the dish for me. I found this dish quite delightful and would order it on my own, and ask for the egg to be fully cooked. This dish is served best with a bowl of the most wonderful rice I have ever experiences. Not a fan of rice, this is a high compliment. Redolent with garlic it was amazing. I just could not stop eating it. 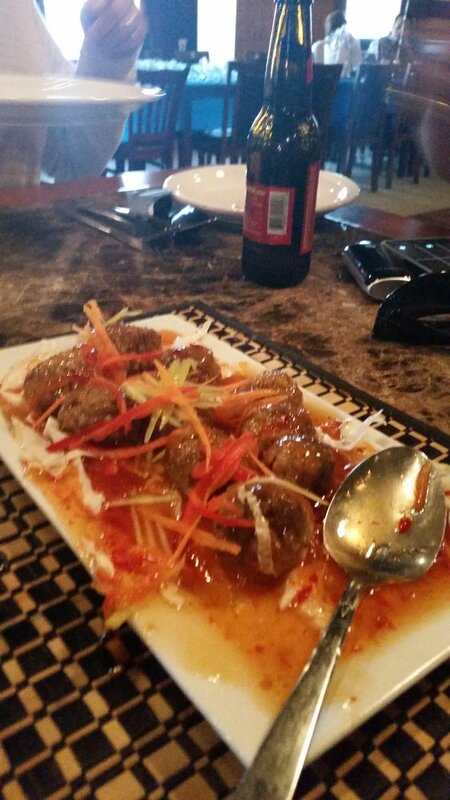 Keep going, next dish Maharlika’s sweet and spicy barbecue sauce coat these handmade beef meatballs . Most attractive presentation and delightful to eat. I normally find all beef makes for a very dry and unsatisfactory meatball, that was not the case here. Juicy, tender and filled with flavor. We are starting to slow down at this point but still a few more dishes to try the Roasted Pork Maharlika was a dish I may have had under a different name, not as ethnic as I would have liked since I was questing, but I was glad I did not miss the flavors. This blended with the Garlic Rice as well. There was a real spice to this dish, that was amazing. Well I appears my friend saved the best for last. 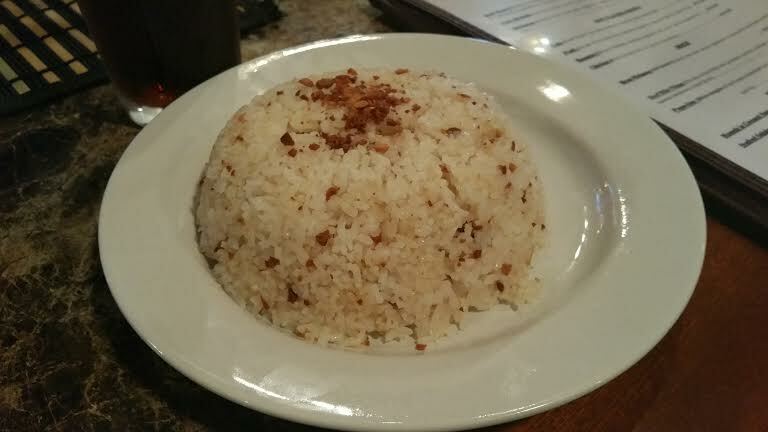 When this dish appeared those of us unfamiliar to the joys of Filipino food howled. I have eaten some strange food in my life and have had this particular dish in a pickled form, but it was freaking beautiful. Crisp, meaty, juicy, all the good food adjectives you can think of use for this dish. I was huge!!! 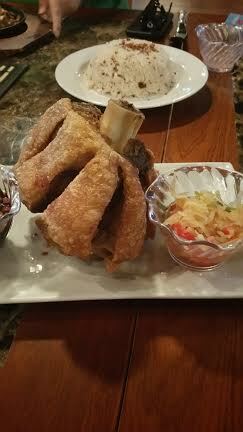 It took all five of us to make a dent in this hock, and someone took the remains. So I have to rate my experience a big plus, my friends supported my needs, and we ate like the true foodies we are.